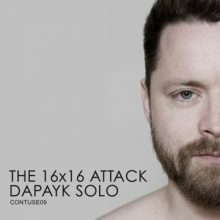 Dapayk loves to turn the knobs on his analog gear. He plays with the coincidence in order to create a mixture of straight pattern-based techno blended with slightly unconventional sounds. Just let it happen!